Beijing- and Santa Monica–based MAD Architects and developers Palisades are pushing forward with Gardenhouse, a mixed-use development set to become the firm's first completed project in the United States. Renderings featured on a project website and recently reported by Urbanize.LA, come as construction on the project moves at a steady clip ahead of a 2019 opening. 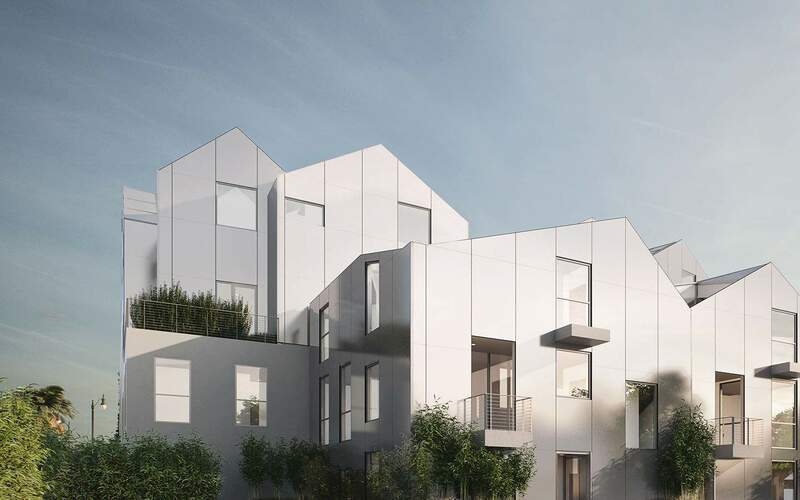 The 18-unit mixed-use residential project is designed with ground floor retail and includes aluminum panel-clad "sky villas" that sit atop the building and feature pitched roofs. The complex will feature three distinct dwelling types, including a series of "garden flats" organized around a central courtyard and a collection of rowhouses, as well. The sky villas will also face toward the courtyard and are designed with living spaces oriented toward these outdoor spaces. Featuring double-height, vaulted ceilings and sculptural staircases connecting each of the floors, the units are arranged to take advantage of panoramic views over surrounding Beverly Hills. The decidedly high-end residences will also come outfitted with interiors and finishes designed by Rottet Studio and are set to include bespoke appliances by Miele and cabinets by Snaidero. The three-bedroom apartments sandwiched between the villas and retail portions of the project are designed, like the sky villas, with multiple outdoor spaces, including balconies and terraces that look down over the courtyard. The row-house component of the project will be attached to the backside of the building where the homes are able to meet the street. These two- and three-story units will feature individual addresses and will each come equipped with its own elevator and subterranean, three-car parking garage. The project is designed according to a design philosophy known as "shanshui" promoted by MAD Architects principal Ma Yansong. The philosophy, according to an interview with Yansong featured on the project website, "combines the functionality of urban density with the artistic idealization of natural landscape to compose a future city—one which maintains human spirit and emotion at its core." 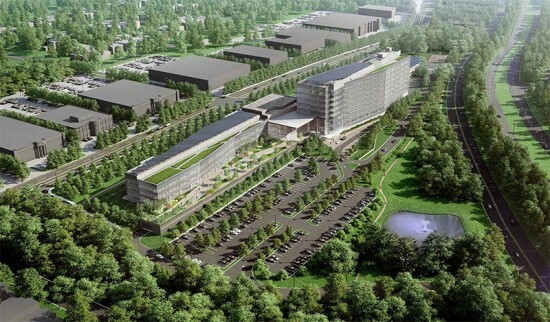 A three-year battle to protect the pristine Palisades cliffs from the development of a towering headquarters for LG Electronics USA in Englewood Cliffs, New Jersey, has at last been resolved, in favor of conservation groups. LG has agreed to revise its initial HOK-designed proposal and reduce the building's height by a little more than half, from 143 feet to 69 feet, thus preserving the unspoiled vistas of the historic park from both sides of the Hudson River. Maybe it was LG chairman Bon-Moo Koo's passion for bird-watching and bird safety that helped sway the South Korean company to rethink its plan, as reported by the New York Times, or perhaps it was the immense support from environmental groups, four former governors, the Metropolitan Museum of Art, and four former US ambassadors to South Korea that finally clinched the deal? Either way, it's a watershed moment for the coalition partners—including Scenic Hudson, the Natural Resources Defense Council (NRDC), the New Jersey Conservation Foundation, and the New York-New Jersey Trail Conference—who feared that if this building were erected, it would be the first of many to soar above the tree-line north of the George Washington Bridge. The New York Times pointed out that the redesigned headquarters would still be twice the height of its neighboring buildings. Even so, former critics are pleased with LG's new plans, which will likely bring the top floor or roof flush with the treetops. HOK has reworked the design, expanding the length of the building to include a 5-story north wing and a 3-story south wing. The firm is seeking LEED Platinum certification for the complex, and has also pledged to employ special lighting to safeguard migratory birds and other design features to "reduce the visual impact while retaining the scale of the complex as home for LG’s growing US business," said HOK in a statement. “The new design integrates LG’s aspirations to build a world-class, sustainable headquarters in a park-like setting below the tree line of the historic Palisades,” said Ken Drucker, design principal at HOK’s New York office. “The viewshed from the Hudson River and New York will not be impacted and the surrounding area of the 27-acre site will be reforested.” While this first battle has been won, the NRDC will now focus its efforts now on state legislation "to limit development in towns along the New Jersey portion of the Hudson River Palisades to low-rise buildings," explained Mark Izeman, director and senior attorney at NRDC, in a post on the organization's website. 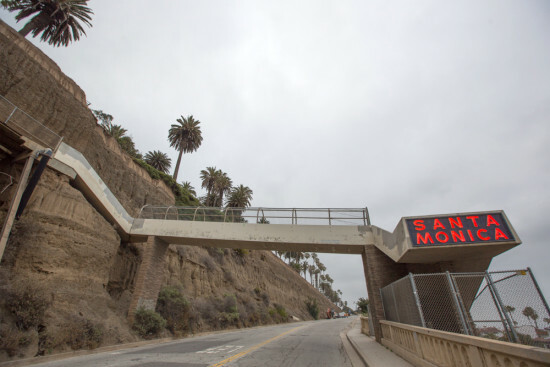 "If enacted, this bill would put in more permanent protection for the Palisades and help prevent the type of local zoning battle that took place in Englewood Cliff," said Izeman. The Oscar-winning film 12 Years a Slave captured the eye of American audiences last year, but it may have also had an unforeseen effect on historic preservation. It appears that the National Trust for Historic Preservation was watching as well. The Trust has issued its annual list of the 11 most endangered historic places in the United States, which featured the slave trading center where the film's protagonist, Solomon Northrup, was held and captured. For twenty-five years, the National Trust has launched campaigns to save historic structures and places in regions across the U.S.—many of which are vulnerable from years of neglect or the threat of demolition. "Only a handful of the 250 places named have been lost," the Trust said in a statement. Thus, the attention brought by the endangered list will likely help the chances of preserving these irreplaceable historic sites tied to the integrity of the nation. 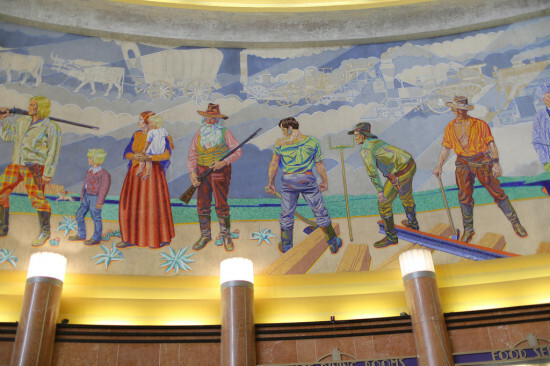 Cincinnati, Ohio has two of the largest restoration projects: Union Terminal and Music Hall. Each of these projects are estimated to cost $280 million. Music Hall is a hub of arts—home to Cincinnati's Symphony and Pop Orchestras, Opera, Ballet, and the May Festival. While Union Terminal is one of the most significant Art Deco structures in the country. 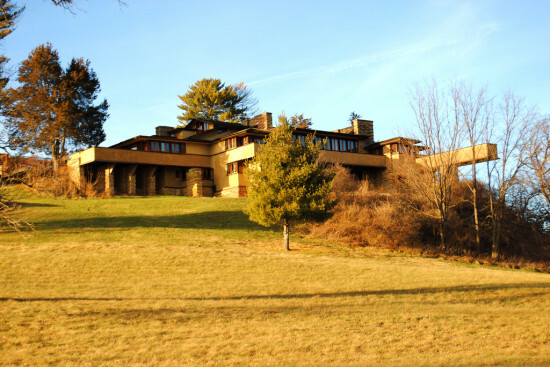 The full list includes Frank Lloyd Wright's Spring House, a church built in 1837, the threatened view of the Palisades, and other significant places in American history. 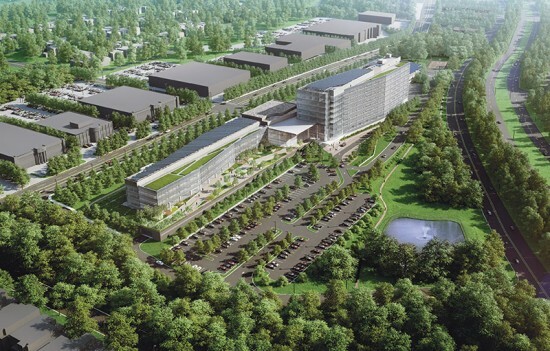 The battle over LG Electronic's proposed office complex in New Jersey is getting increasingly political. Now New York City government officials are chiming in and expressing their opposition to the company's plans to build a 143-foot-high HOK-designed headquarters atop the leafy Palisades along the Hudson River facing Manhattan. Yesterday, Manhattan Borough President Scott M. Stringer and Bronx Borough President Ruben Diaz Jr. sent a letter addressed to New Jersey Governor Chris Christie asking him to step in and stop the proposed plans for the office complex and urge a redesign of the building. The letter stated: "For hundreds of years, the residents of your state and ours have enjoyed unspoiled, pristine views of the Palisades, and this proposal threatens to change that forever. The proposal put forward by LG Electronics threatens to alter this view, and negatively impact the enjoyment of the Palisades as a visual and a recreational resource. The Palisades are a natural treasure. The park is a designated National Natural Landmark and development should respect that context. While the Palisades are physically located in New Jersey, they are of such importance to the people and the cultural institutions of New York City that our own development rules have ensured that their view is not obstructed." The letter states that the Bronx Community Board #8 and Manhattan Community Board #12, along with four former New Jersey governors—including Brendan Byrne, Thomas Kean, James Florio and Christine Todd Whitman—have all conveyed some level of concern about the new headquarters. To make matters worse for LG, the Environmental Protection Agency has "withdrawn its partnership with LG to develop the tower." This comes after negotiations with a court-supervised mediator failed this Spring. Could this be the future of architectural photography? 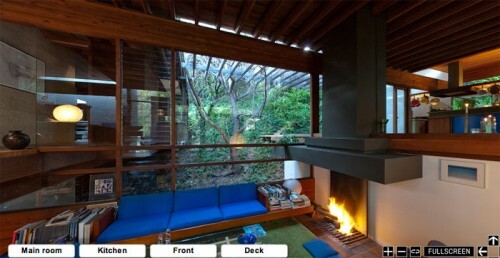 The LA Times this weekend published a wonderful virtual tour of Ray Kappe's own house on a heavily wooded lot in the Palisades. Thanks to huge glass walls, skylights, clerestories, floating interior planes and cantilevered wooden decks, trellises and platforms, the house appears to float over its sloping site. It's truly one of the most spectacular houses ever built. And the tours of its facade, main room, kitchen, and deck do it more justice than any two dimensional pictures could. Now if only Kappe could get more props himself. When is he gonna win a Pritzker already?